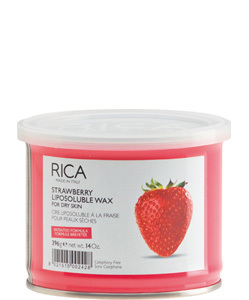 Delight your senses with this naturally strawberry scented wax, reminiscent of carefree, summer days. A visually appealing red tone contributes to the sensorial impact. A fresh and sweet scent, reminiscent of carefree and summer days, to delight your senses. It gives a smooth and efficient depilation.